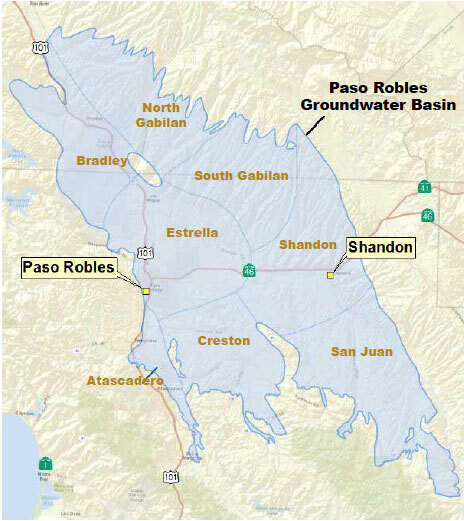 The California Water Impact Network supports the efforts of Protect Your Water Rights (POWR) to protect the Paso Robles groundwater basin from a corporate takeover . Unfortunately the bill to form a groundwater district is moving ahead in the state legislature. You can access POWR's Press Release on the Quiet Title Action here. Concerns over sweeping changes to private property rights has brought tremendous support from the rural community for theProtect Our Water Rights (POWR) quiet title action, the group says in a press release today. The group filed an amended complaint July 31st in Superior Court of Santa Clara County. The POWR group now stands at 250 landowner members and 12,800 acres, according to the statement. Protect Our Water Rights is a group of large and small landowners, concerned about water rights and protecting our groundwater basin. POWR believes that standing strong to protect our rights will serve to protect our precious groundwater. POWR formed very quickly after the Urgency Ordinance was passed by the San Luis Obispo County Board of Supervisors and continues to grow because of the threat of state regulation as well as the possibility of a political body such as a California Water District being used to control and export groundwater for financial gain at the expense of overlying groundwater rights and the long term sustainability of the groundwater basin. The group believes that court determination and enforcement of groundwater rights and protection of the groundwater basin is preferable to political decisions which can be affected by money and influence.